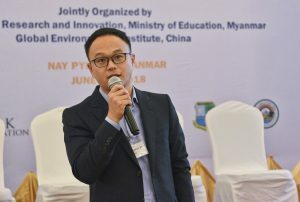 NAY PYI TAW (June 6-7, 2018) – Determined to close the gap between Myanmar’s increasing energy demand and intended contributions to global climate change, Myanmar’s Ministry of Education Department of Research and Innovation (DRI) jointly with Chinese, non-profit, non-governmental environment organization, Global Environmental Institute (中文：北京市朝阳区永续全球环境研究所，GEI), is holding a two-day workshop for Burmese officials, experts and civil society organizations, entitled “Workshop on Promoting Energy and Sustainable Development in Myanmar” from June 6 -7 in Myanmar’s capital city, Nay Pyi Taw. This workshop demystified the process for achieving economic growth without increasing green house gas emissions – the only sustainable way forward for developing countries and all of planet Earth. Following President Xi Jinping’s encouragement for China to work cooperatively with developed nations and other developing countries for sustainable economic growth, representatives from China shared their experience planning, collaborating, promoting and implementing renewable energy and low-carbon development policies in China and discuss suggestions for Myanmar’s experts. 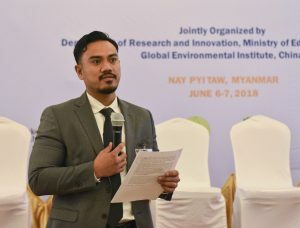 In fact, GEI and DRI have been working together to identify what tools and plans Myanmar needs in order to reach its intended nationally determined contributions (INDC) for climate change while also increasing its electrification rate and maintaining economic growth. 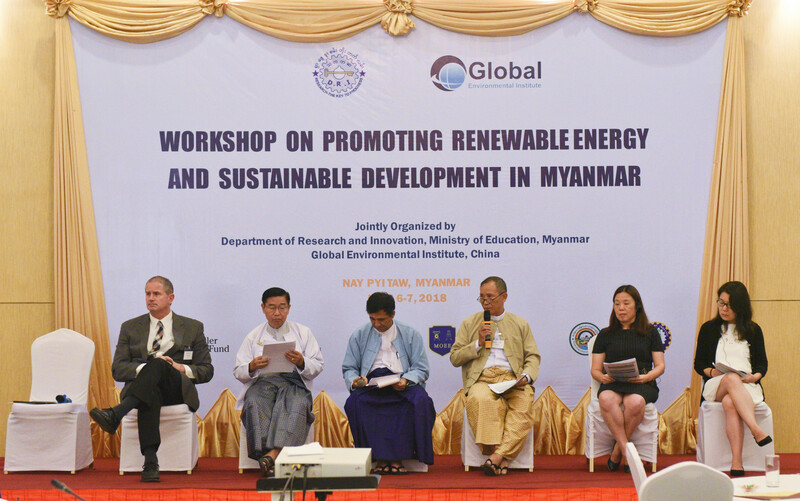 Moreover, the workshop leveraged GEI’s 14-year experience working with government officials and experts to conducting low-carbon and sustainable development planning in China as well as Myanmar. The workshop included speeches and presentations by experts from the Institute of Science and Development at Chinese Academy of Sciences (CASISD), including Prof. Yi WANG member of the NPC Standing Committee and Vice President of CASISD, as well as esteemed researchers from Guangzhou Institute of Energy Conversion, Research Center for Eco-Environmental Science in Shanxi and GEI. A full agenda of the speakers can be found below. 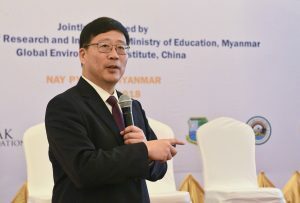 In addition to discussing what Myanmar can learn from China’s climate change strategy, which enabled the country to peak carbon intensity before its 2020 goal, participants also heard about low-carbon policy planning in other countries that also face ambitious economic and energy goals, including the U.S.A. as well as countries in ASEAN region and along the Belt and Road, namely, Cambodia, Indonesia, Sri Lanka and in Myanmar. 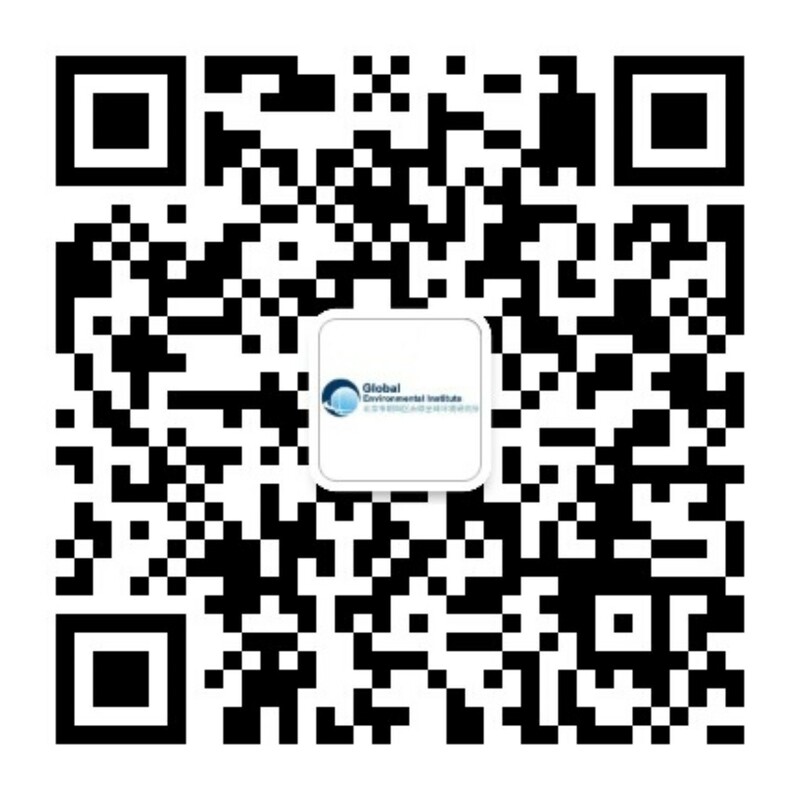 The expert symposium on the afternoon of the 6th – “How to achieve national INDC goals through multilateral cooperation on renewable energy and low-carbon development”. Overall the workshop facilitated the sharing of Chinese experience to deepen Myanmar’s capacity for conducting renewable energy and low-carbon development by introducing policy making toolkits, conducting technical exchange and explaining how to develop pilot projects. It also laid the foundation for potential pathways for collaboration between Myanmar and China, other ASEAN Countries and overseas institutions. Nearly sixty participants joined the workshop and represented the Myanmar Government’s Ministry of Education; Ministry of Electricity and Energy; Ministry of Natural Resource and Environmental Conservation; Ministry of Agriculture, Livestock and Irrigation; Ministry of Industry; and Ministry of Planning and Finance, as well as environmentally-focused charitable foundations and experts from the entire ASEAN region Cambodia, Indonesia, Myanmar, Switzerland, U.K. and U.S.A.